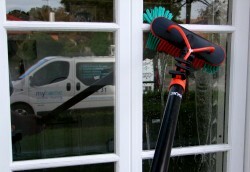 Put the sparkle back into your windows with the Myhome Window Cleaning team in Caulfield, Melbourne. 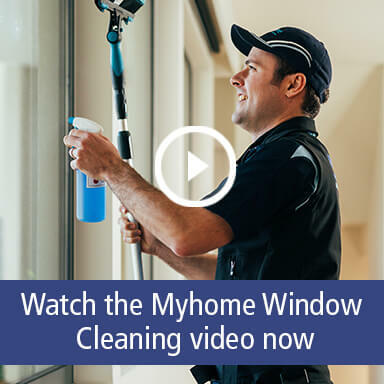 Here at Myhome our Caulfield Window Cleaners do things a little differently, we use our unique UltraPure Window Cleaning System which keeps your windows and glass cleaner for longer. Using our unique UltraPure Window Cleaning System, our Window Cleaners in Caulfield will take care of all your all your windows, doors, pool fencing; in fact – anything that is glass! Inside or out! Ionic window cleaning has traditionally been used in workplaces and commercial industries as the most powerful and effective way to clean – but now our Caulfield Window Cleaning Team are bringing this advanced technology to residential homes – just for you! You can book our Caulfield Window Cleaners for a one off clean or for regular cleans, simply call us now on 13 22 31 for a free quote or contact us online.